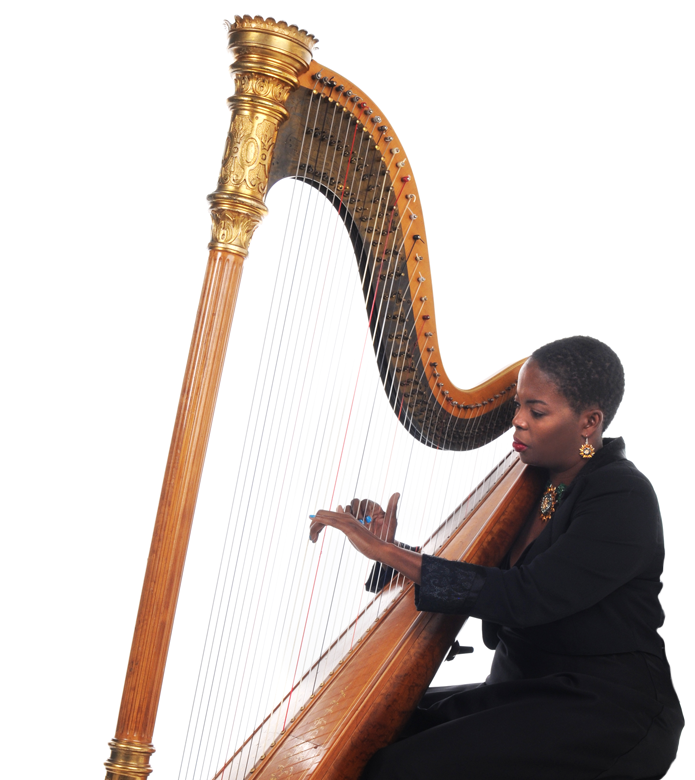 International Performing Harpist, Crystal Sawyer will enchant your guests with her nostalgic melodies of wonder, upliftment and triumph. "Music calls to the spirit of people. It engages them. ...takes hold of their emotions, and uplifts their hearts. I enjoy creating musical memories." Welcome to the wondrous world of the Lady of Harp. You are invited to take a look into the repertoire that inspires special moments. Enjoy the snapshots of the elegant instrument that interprets the soundtrack for special events. Learn more about the Lady herself and how she combines her years of experience with a vast repertoire to bring a customized musical perspective to you. Lasting love through sonic bliss. Your family and friends arrive for the blessed union and are engaged by the magical music while you prepare. As you walk down the aisle, the gorgeous sweeping of the strings ushers you into the embrace of the one you love. The holidays are a time to come together and rejoice. The light timbre of the harp speaks to such happiness and compliments the merriment of your gathering. The elegance of the harp adds a special touch to your event and helps to set the stage for upcoming activities. As your guests mingle and enjoy a cocktail, entertain them with the lighthearted warmth of beautiful celestial music. As you gaze into the eyes of your soul mate, a swelling feeling of love engulfs your heart. The day that the two of you join as one culminates a lifetime of hopes and dreams. Music weaves such intricate delicacies like a tapestry that can forever stand the test of time. Thank you so much! You and your ladies (Cellist and Flautist) were terrific. I appreciated it so much. Words cannot express how happy and satisfied we were for your fine work at the wedding. Thank you for playing your beautiful music, for being professional and punctual. Everyone keeps talking about your work 'til this day. Thank you very much. I was very pleased with your performance! Dedicated to inspiring the world with the spirit of music. Copyrights © 2019 All Rights Reserved LadyofHarp Productions.